What to do when you have tons of blueberries in the Fridge that are about to go bad? Make cake, of course! I also had lots of lemons, so I found this recipe from my google search. I skipped the lemon icing. There was plenty of sugar in the batter and the streusel, so who needs more? 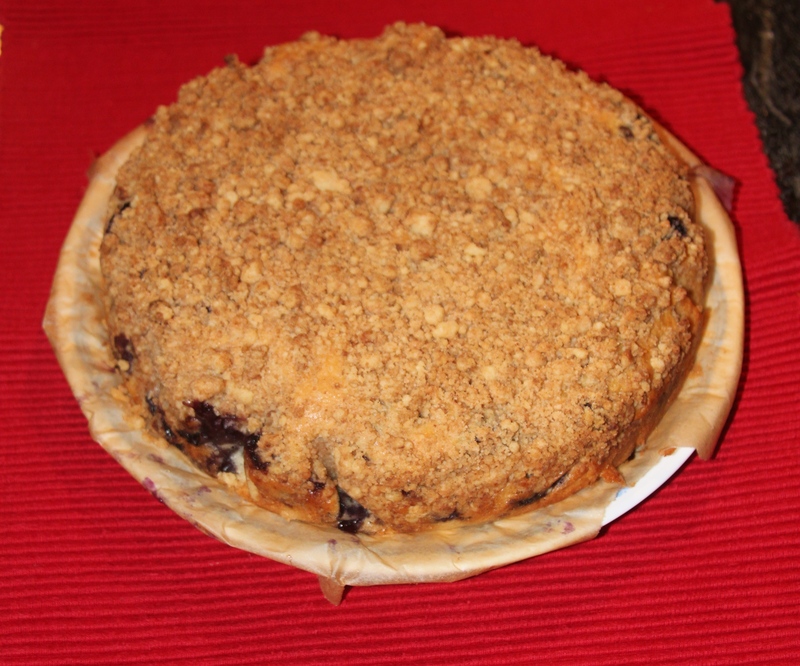 And the streusel is a lovely looking topping by itself. I used Earth’s Balance vegan butter instead of margarine. I also lined the cake pan with parchment paper instead of greasing it. That way, the cake lifted right out of the pan without any sticking. And voila, a pretty good-looking (and good tasting) crowd-pleasing dessert!